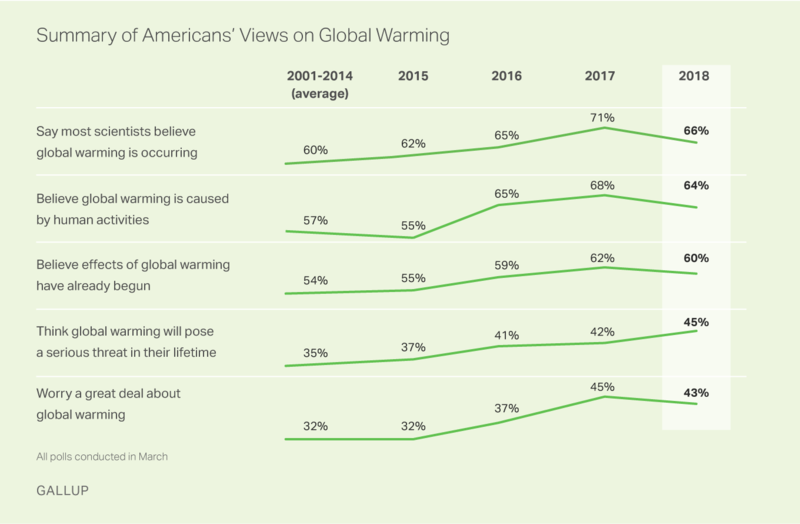 A new Gallup poll shows the majority of Americans do believe in climate change. 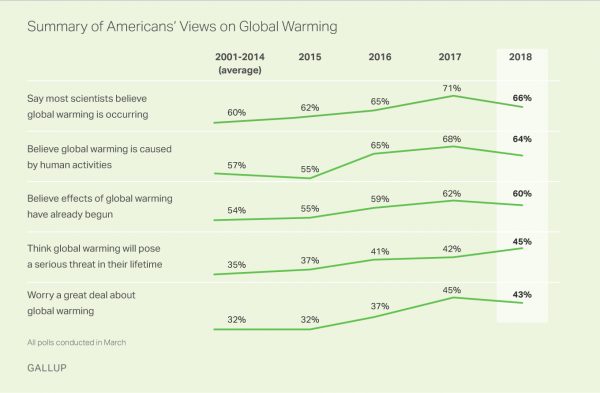 The poll shows 66% of Americans believe that most scientists think global warming is occurring, 64% believe it is caused by human activities, and 60% believe its effects have already begun. But the divide between the believers and the naysayers has grown in the last year. That split is along partisan lines with Republicans increasingly skeptical and Democrats increasingly concerned. Ezra Markowitz, assistant professor of environmental decision-making at the University of Massachusetts at Amherst, says with complex issues, people often look to how their party leaders explain what’s happening. “So, as this polarization grows in the U.S. we see more and more diametrically opposed messages from the left and the right about climate change,” he says. And people follow along. But Markowitz says there’s a catch. Severe weather events, like drought or the extreme wildfires we’ve seen recently in the Mountain West also play a role. People also have to make concrete decisions in their own lives. “The farmer or the rancher has to make decisions about what’s happening this year or the next year,” says Markowitz. And this “practical divorcing” of ideology and practice, he says, may actually be a good thing when it comes to people responding to a changing climate.